Do the courts always hear cases when they are scheduled? Even though your court case may not be heard at the scheduled date and time, be sure to be prompt and present anyway in the even that it does. No. Frequently, the courts have 20, 30, or 40 cases set on the docket in the morning or in the afternoon. The Judge goes through and calls all of the cases, tries to figure out the issues involved, and how long it is going to take the court to hear matters. Then the court will prioritize and arrange its schedule. Even though the court has many cases on the docket, most of those cases will end up being agreed matters, which will take very little court time. Once the court has a good idea of its schedule, your attorney will be informed of the specific time the court will be able to hear your matter. Most of the time, your case will be heard on the scheduled date. However, because the courts are so overloaded, from time to time the courts find that it is necessary to reset a case. Be aware that your attorney may or may not be present at the appointed time. 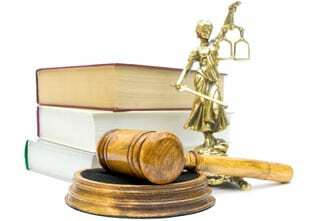 Frequently different courts schedule many cases for 9:00 a.m., 9:30 a.m., or 10:00 a.m., and if an attorney has several cases that day, it may be necessary for your attorney to go to all of the different courts. Your attorney should notify the court that he may have to go to another court. If the court calls your case and your attorney is not present, the Judge will often simply say “on hold,” or “attorney running late,” or “attorney in another court.” However if the Judge calls your case and makes no announcement, and the clerk does not indicate to the Judge that your attorney is running late, stand up and clearly tell the Judge your name and the name of your attorney. The Judge will usually ask you to check with your attorney’s office concerning his or her schedule. It is very important, however, that you respect the court date and time. Be sure to ask your attorney the specific time that your case is set for; you should you plan on being in the court building at least 30 minutes prior to that time. Each court maintains separate hours based on the type of matter to be heard (for example, uncontested divorce, temporary hearing, or final trial). Well in advance of your court date, ask your attorney’s staff where the divorce courts in your city are located. Get the specific address and name of the building. Ask the name of the Judge, the number of the court and the floor the court is located on. If possible drive to the courthouse several days in advance, so you are familiar with the route and the parking.